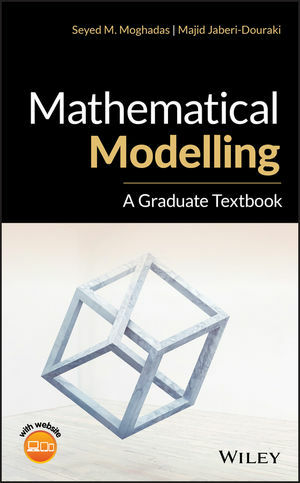 Mathematical Modelling offers a comprehensive guide to both analytical and computational aspects of mathematical modelling that encompasses a wide range of subjects. The authors provide an overview of the basic concepts of mathematical modelling and review the relevant topics from differential equations and linear algebra. The text explores the various types of mathematical models, and includes a range of examples that help to describe a variety of techniques from dynamical systems theory. Written for graduate students in applied mathematics, instructors, and professionals using mathematical modelling for research and training purposes, Mathematical Modelling: A Graduate Textbook covers a broad range of analytical and computational aspects of mathematical modelling. Seyed M. Moghadas, PhD, is Associate Professor of Applied Mathematics and Computational Epidemiology, and Director of the Agent-Based Modelling Laboratory at York University in Toronto, Ontario, Canada. Dr. Moghadas is an Associate Editor of Infectious Diseases in the Scientific Reports, Nature Publishing Group. Majid Jaberi-Douraki, PhD, is Assistant Professor of Biomathematics at Kansas State University, Manhattan, Kansas, USA. His research involves modelling dynamical systems and optimal control theory in a wide range of real-world problems.